Item # 312995 Stash Points: 2,995 (?) This is the number of points you get in The Zumiez Stash for purchasing this item. Stash points are redeemable for exclusive rewards only available to Zumiez Stash members. To redeem your points check out the rewards catalog on thestash.zumiez.com. 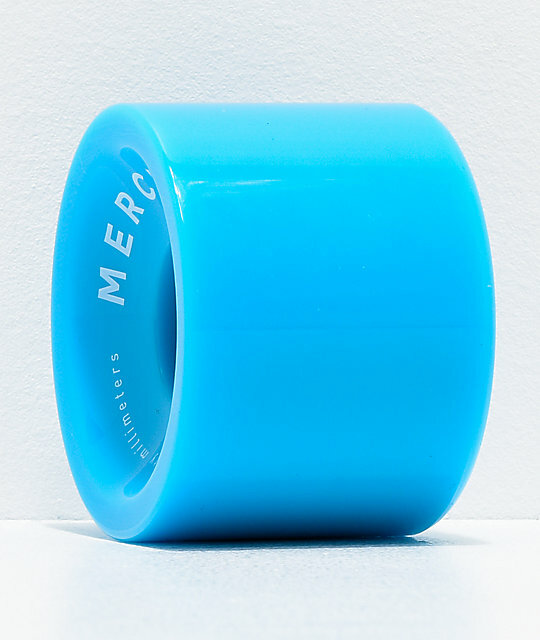 Give your longboard complete a facelift with a fresh set of Mercer Blue 70mm 78a Longboard Wheels. 70mm in size, these wheels offer a smooth ride that is unhindered by sidewalk cracks or pebbles, keeping you upright through the worst of paved terrain. Constructed with a 78a durometer and square-lipped shape for excellent grip, these cruiser wheels can handle even the harshest of corners without losing grip or "scrubbing" out. 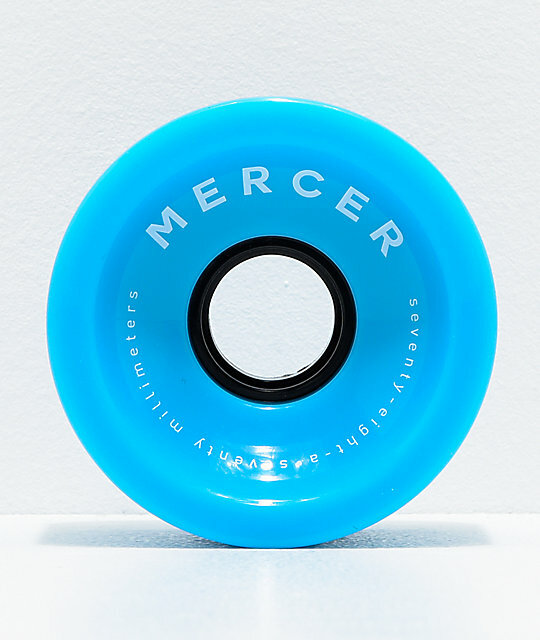 Blue 70mm 78a Longboard Wheels from Mercer. Reinforced plastic core with flat spot-resistant construction.